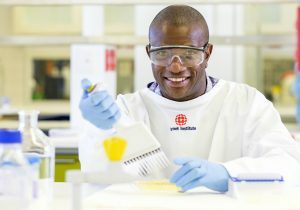 Established in the 1990s, the Victorian HIV Blood and Tissue Storage Bank is an initiative of the state-wide Victorian HIV Service at The Alfred and the Burnet Institute. It has prospectively stored leftover serum samples from requested HIV viral load tests for patients managed at The Alfred. The biobank holds nearly 60,000 samples linked with relevant clinical information from close to 5,000 HIV patients. The biobank is available as a research tool.